Conferences to scientific conferences, round tables with other colleagues, lessons in schools, presentations to the general public- these are all ways in which AVASA supports the dissemination of research results. 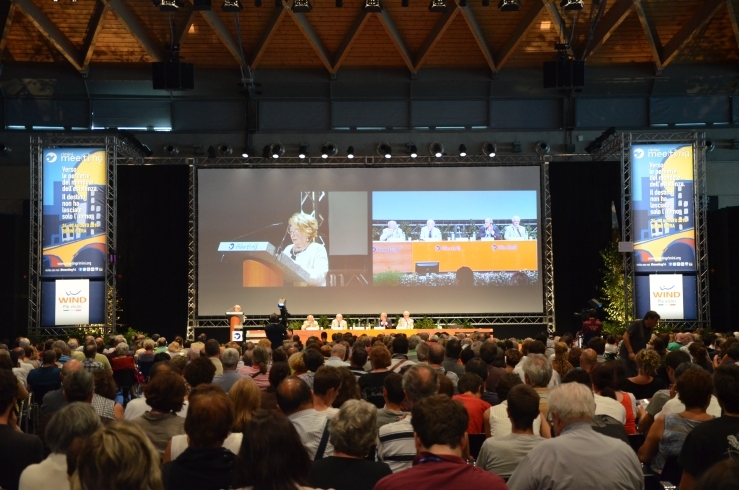 Some presentations have attracted a very large audience, even a few thousand people, as in the one that opened the exhibition on Georgia at the Rimini Meeting in August 2016. The web site www.urkesh.org contains details on all presentations of all kinds relevant to the themes supported by AVASA. Here we give only a summary list, starting with 2011.